Amazon.com description: Product Description: A deluxe, limited edition of only 650 copies produced worldwide, this Marvel Encyclopedia comes in a presentation slipcase with exclusive prints signed by cover artist Brandon Peterson. 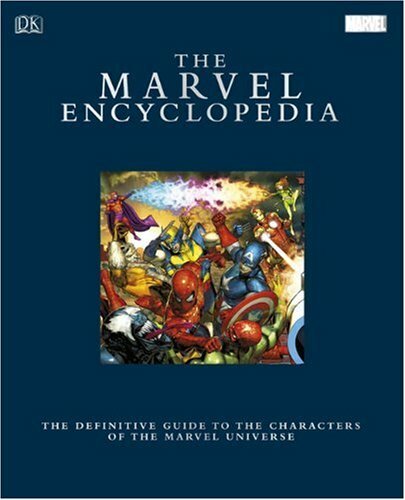 The most comprehensive one-volume A-to-Z guide to the Marvel Universe ever published, The Marvel Encyclopedia contains details of more than 1,000 amazing characters, from world-renowned Super Heroes like Spider-Man and the X-Men, to bizarre and obscure beings like Ego the Living Planet. Written by a team of Marvel experts and packed with spectacular images by Marvel's greatest artists, the Encyclopedia also includes a decade-by-decade history of Marvel Universe highlights, illustrated with classic covers. About: A deluxe, limited edition of only 650 copies produced worldwide, this Marvel Encyclopedia comes in a presentation slipcase with exclusive prints signed by cover artist Brandon Peterson.